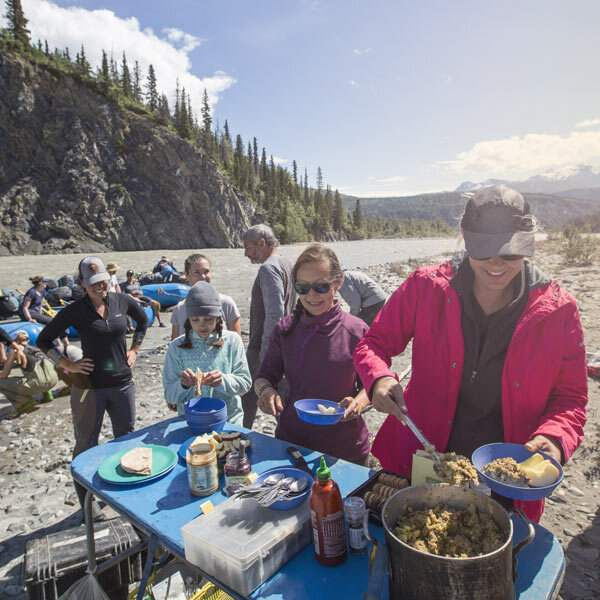 On our river journeys you can expect to eat as well or better than you do at home—and we do the cooking! 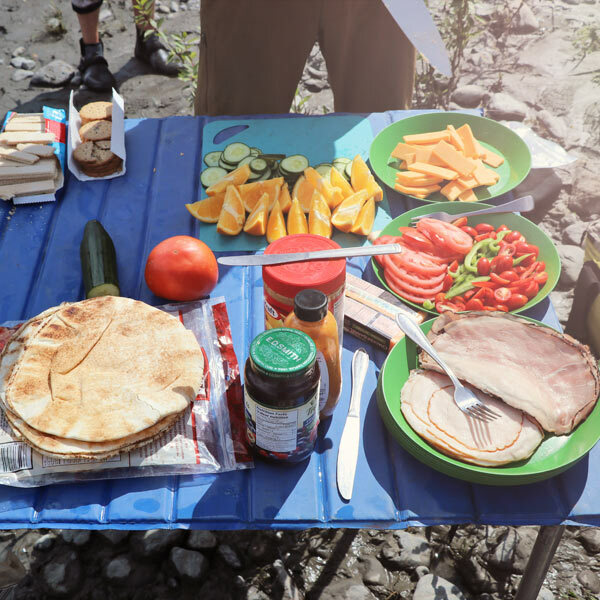 The crowning touch of our river journeys are the meals. 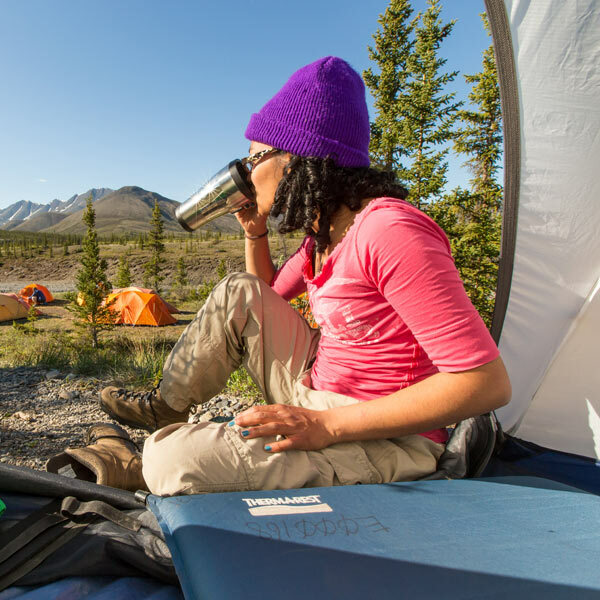 Forget those old images of freeze dried backpackers fare. At the end of an active day in the fresh mountain air, you deserve to be rewarded by the aroma and taste of a great meal with fresh ingredients, perhaps with a wine you selected. 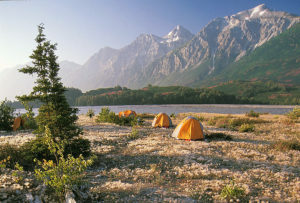 You’ll be fed meal after meal of impossibly fresh food, all prepared with a portable camp kitchen and open fire. You’ll be continually amazed at the variety and quality of the meals. 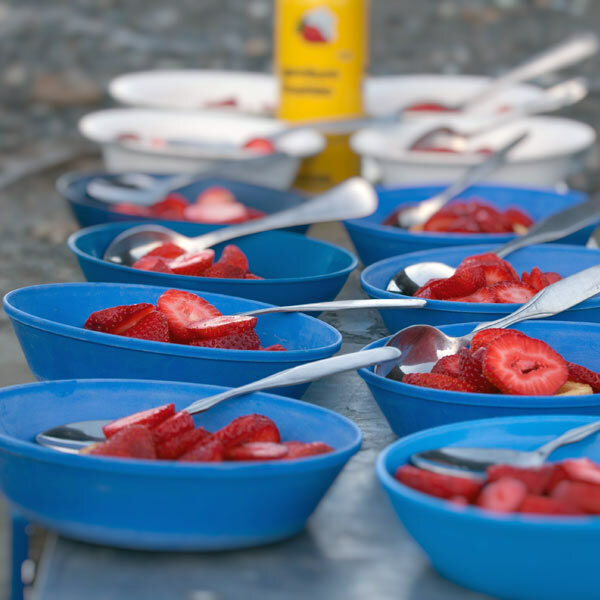 Each morning, our guides rise early to brew fresh coffee and prepare the ‘first course’ of breakfast for the early risers, including fresh fruit, cereal, granola and yogurt. 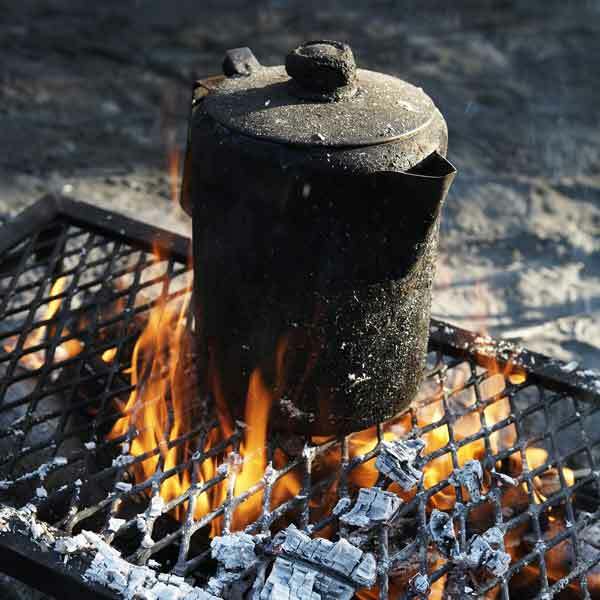 Following that you might be served an egg frittata, hash browns, perfectly poached eggs Benedict with hollandaise sauce, pancakes with maple syrup, muffins cooked in a dutch oven and served with butter, or maybe French toast. We guarantee you won’t start your day feeling hungry. Lunches are served riverside, deli style. Lunches range from deli sandwiches or wraps with all the extras like pickles, avocado, hummus & hot sauce to pasta salads chocked full of fresh veggies. Snacks and treats are provided but if you have any special favourites, feel free to bring some along. 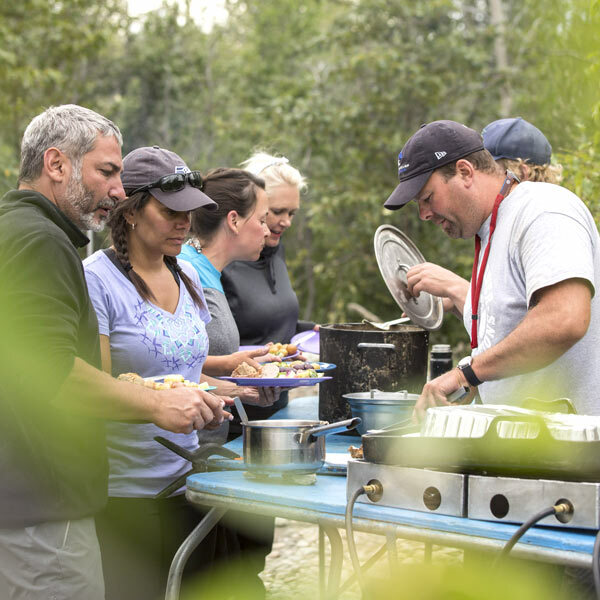 After a day on the river, while you relax with a drink, you will enjoy appetizers such as guacamole, spring rolls, samosas, spanakopita, crackers and chips, melted Brie, smoked salmon, or soup. 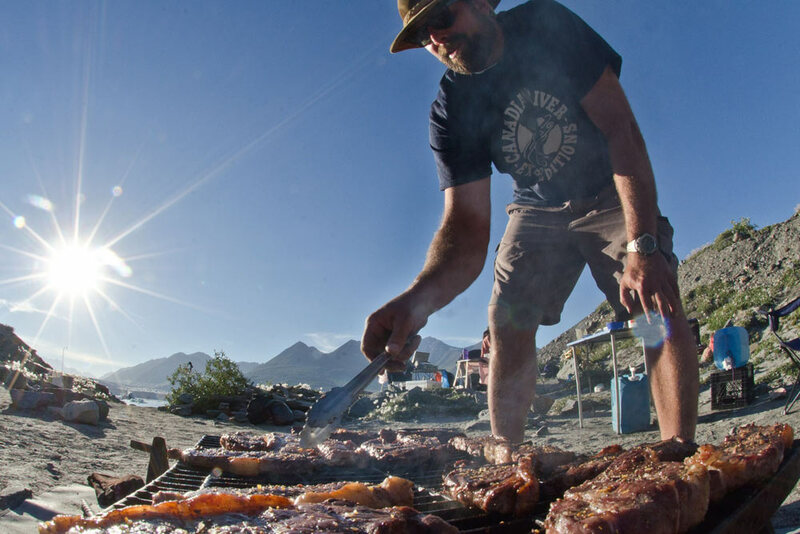 Our guides pride themselves on their campsite cuisine, and our riverside dinners are our piece de resistance. 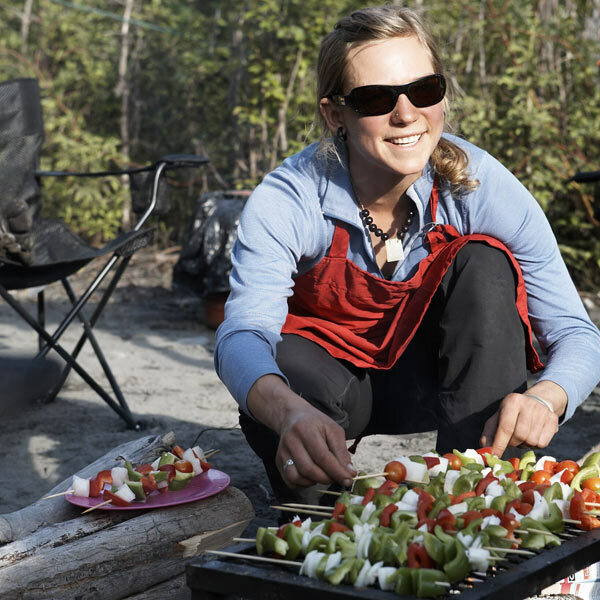 You’ll enjoy mouthwatering dishes such as dutch-oven lasagna; Thai chicken curry in coconut milk; Moroccan stew with chickpeas, sweet potatoes, apricots, carrots, and quinoa; lamb souvlaki with mint sauce, couscous and green salad; hamburgers with all the trimmings; pork tenderloin with apples, maple syrup, couscous and onions, steaks grilled to order over an open fire and served with potatoes and sour cream, and caesar salad garnished with croutons. You’ll never be served the same thing twice. And then there are the desserts. Strawberry shortcake with fruit and whipped cream, freshly-baked brownies, carrot cake, sponge cake with butterscotch rum sauce, all delightful delicacies cooked in a Dutch oven using briquettes. 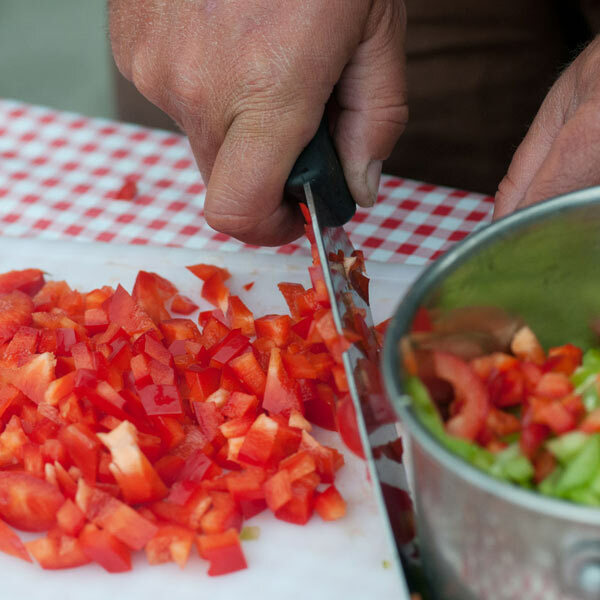 We can accommodate food allergies or dietary needs with advance notice and our meals can be tailored for vegetarians. Just let us know when you register for your trip if you are vegetarian or have any special nutritional needs.